If you've ever wondered if hosting a vacation rental is something you'd like to get into, this workshop could be the ticket! 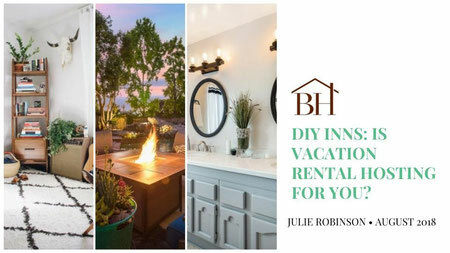 "DIY Inns: Is Vacation Rental Hosting for You?" is a workshop Julie put together for people wanting to know if running a DIY Inn suits their current AND dream lifestyle. Registration for our Northland Pioneer College ends soon, so email Royce and get on the roster today! Not able to make this workshop? Check-out our Fall 2018 schedule throughout the southwest including a closed circuit TV option in September.